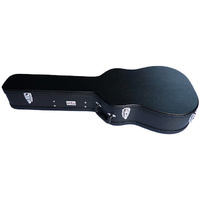 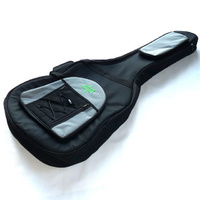 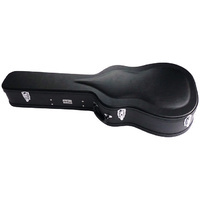 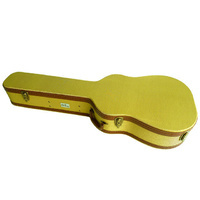 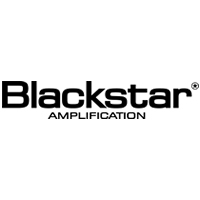 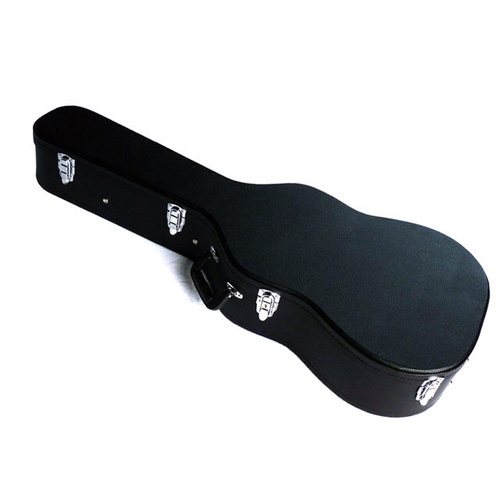 Acoustic guitar case featuring laminated wood construction with durable leather look black PVC exterior. Blue plush lined interior is padded ensuring neck is supported and instrument held secure. 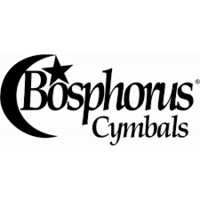 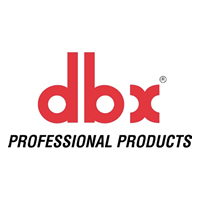 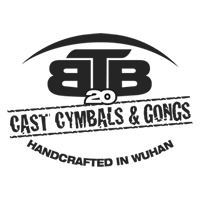 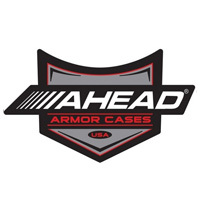 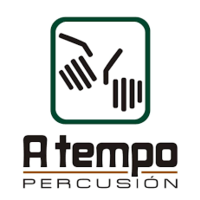 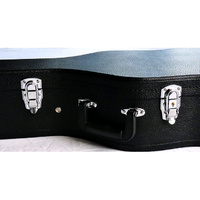 Includes chrome latches with keyed lock and large accessory compartment inside. 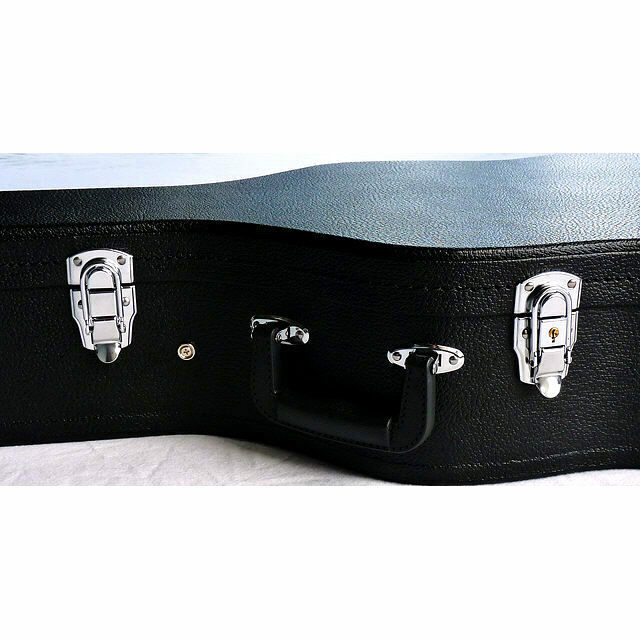 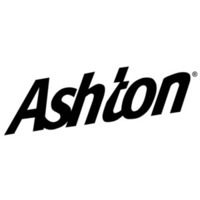 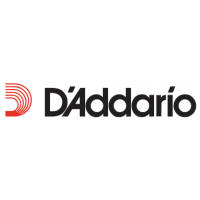 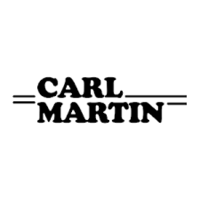 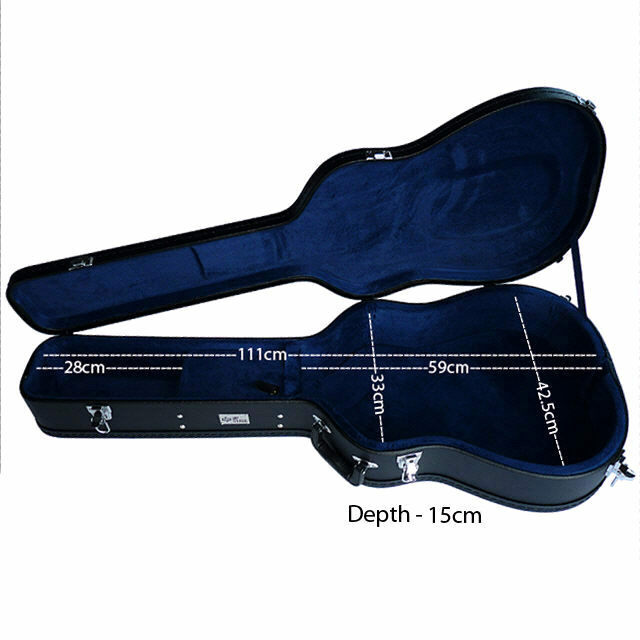 Designed to suit dreadnought or similar acoustic guitar body shapes, this guitar case is guaranteed to protect your investment from damage. 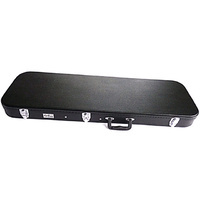 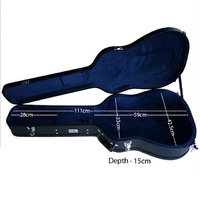 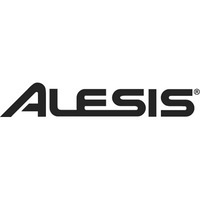 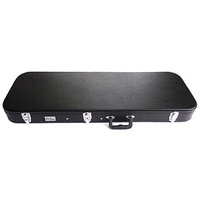 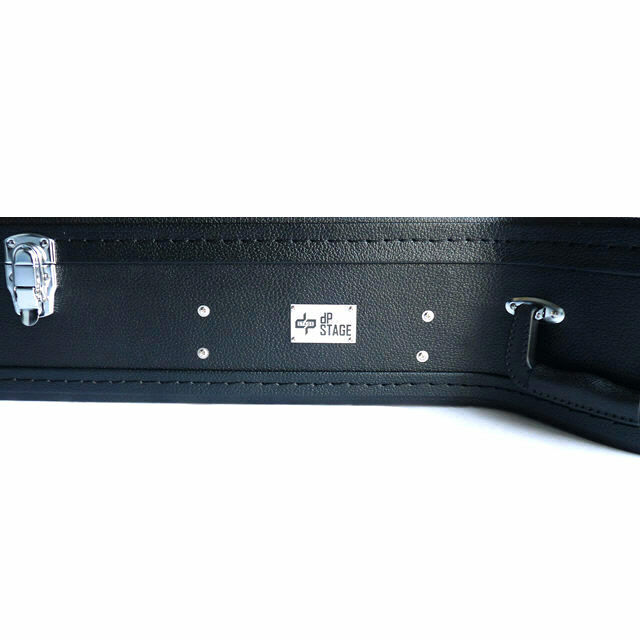 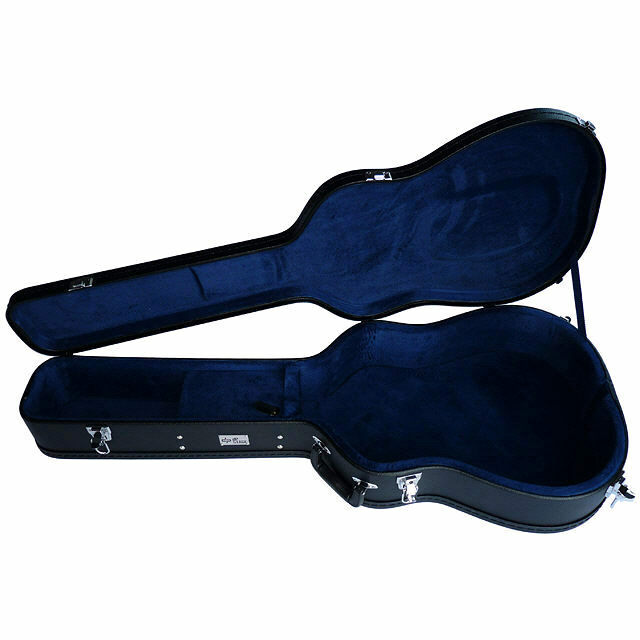 This case has an internal length of 111cm and can accommodate longer guitars and guitars with longer headstocks.